1. 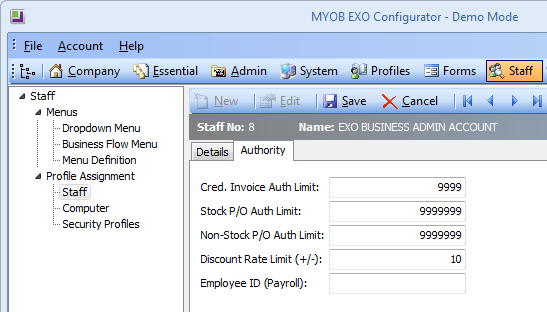 Set user discount limit on Staff setup, Authority tab. 2. 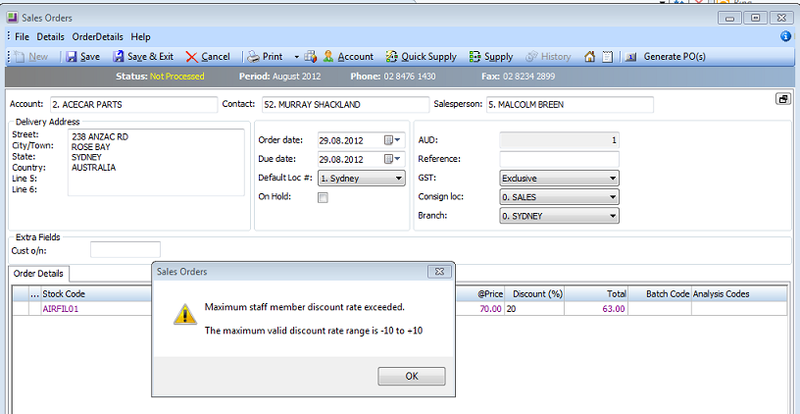 When the user enters a discount on the Sales Order screen, the system validates this to the maximum discount allowed (set on the user Authority tab in Step 1). A pop up message will appear if the discount rate is exceeded and the discount can’t be saved.